You can choose from all of our patterns !!! 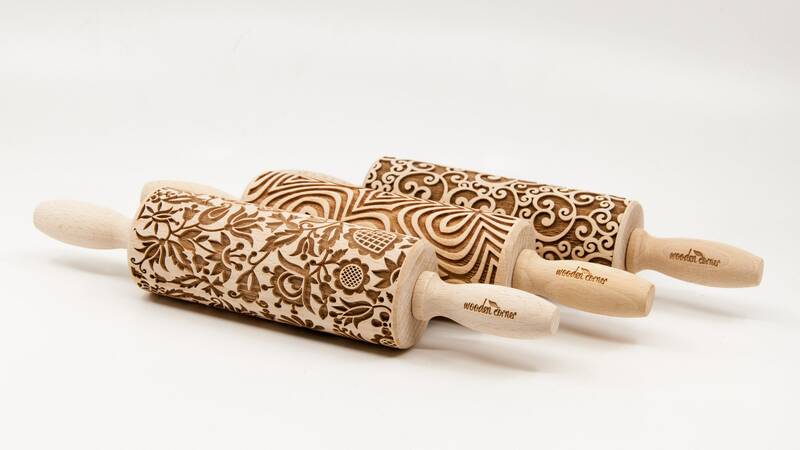 Choose any 3 embossing rolling pins you like and write us a note. The rolling pin is made of European beech wood and has 24 cm (9 1/2") in length along with handles, and 4,5 cm (1 3/4") in diameter, weight about 160 gr.. They are perfectly safe for use with food. ****Rolling pin consists of elements, children should use in the presence of adults!